Manufacturers have a new-found love for added accessories. 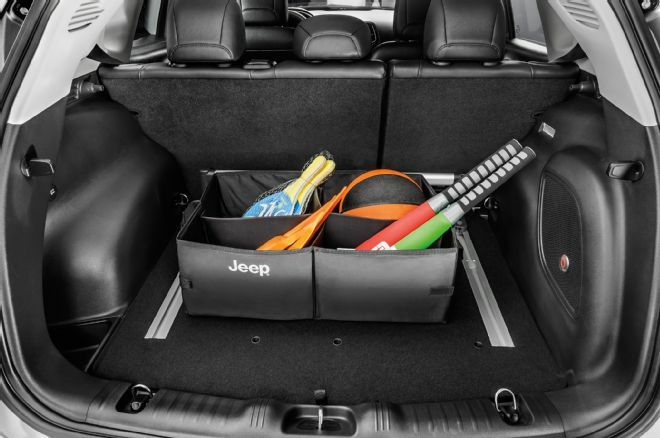 Jeep proves that statement with the 2017 Compass with more than 90 Mopar add-ons being available from the factory, enabling you to outfit your ute however you want it. The Compass is aimed at a growing demographic of buyers looking for adventure and utility. Its small but capable package offers a lot of versatility for the price tag, and with these accessories, you can pretty much have all the customization you want. Options include aesthetic and functional upgrades. 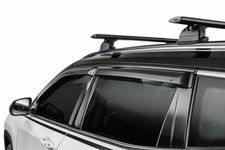 Some packages include black vinyl graphics which adorn the hood and profile of the Compass, adding a unique look to the CUV. Mopar branded parts are plentiful as well, letting others on the road know your Jeep's, erg, performance heritage. 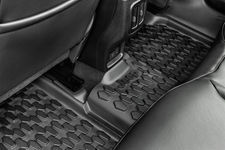 You can also purchase splash guards, rock sliders, bike and ski mounts, along with a host of other accessories to promote the Compass lifestyle, if there is such a thing. All of these accessories range high and low in price. You can seemingly spend as little or as much as you want on them, depending on your dedication to the platform. OEM components are typically more expensive than aftermarket parts, something that is potentially true in this case. Rock rails are one of the most costly additions, setting you back nearly a grand. 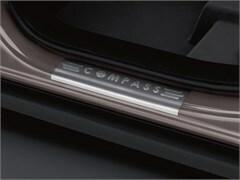 Lastly, the Compass' interior receives the same attention. You'll be able to choose from a selection of comfort and accessibility features including power lift gates for your long-weekend camping trips as well as Apple Carplay and Android Auto for your everyday commute. Hopefully by allowing customers to have their Compass tailor-made, Jeep will be able to push more models through showroom doors. The redesign promotes off-road use, something that's certainly attractive during the buying process. These new options further those efforts, so take note of the model's personalization.